Remember last year, I was taking part in the 52 Card a year challenge to get me using my stash and to get better at card making? Well I failed at that after a couple of months, lol! I got behind on the prompts due to life, etc and eventually gave up. I still want to make cards where I can for friends & family but I'm taking a more relaxed approach, just making them when I can and if I do need a card in a hurry I have some Phoenix Cards in a box on standby. I'm not going to feel guilty for sending a ready made card either, as soon as people know you craft it's almost like they expect to get a handmade card rather than a shop brought card. I used papers and a die cut sentiment from Pebbles. This next card is for my friends daughters birthday next week. 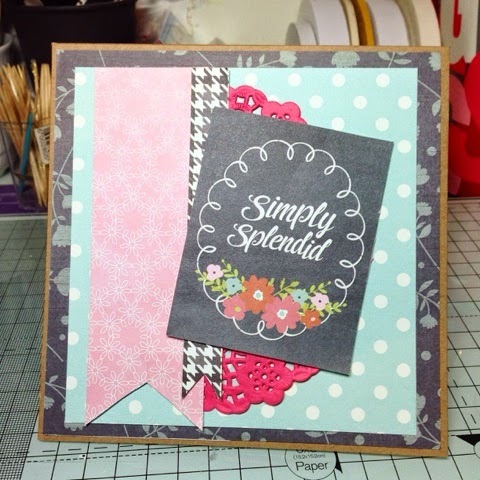 I used papers and a project life card from Dear Lizzy's Daydreamer collection. The little girl who appears in this collection is very cute but I couldn't see me using her on a layout but she's perfect for an 8yr old little girl. 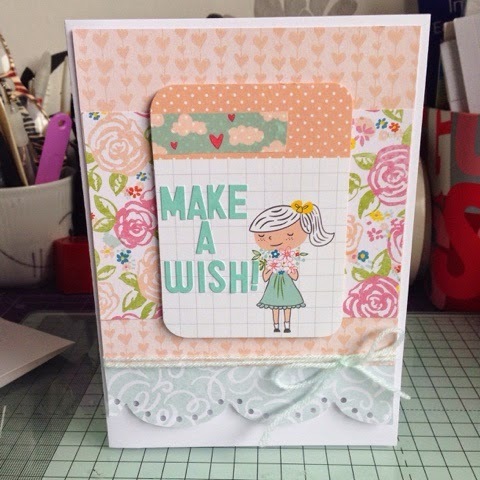 I don't do project life but i find the cards great for layering on layouts or as toppers on cards. The birthday card is fresh and sweet. I love the Splendid card too, a card for a not-so--standard reason. I hope the job search will be over soon. Aw im sure your friend understood. Both beautiful cards love.